PHILIPSBURG, Sint Maarten – The 5th year anniversary of SXM DOET was a huge success. Over 2,000 volunteers rolled up their sleeves to be part of positive change and lend a helping hand at 112 different projects over the course of 2 days. 81 local organizations in total hosted a number of projects on Friday March 15 and Saturday March 16 and this year saw projects that were elevated in quality and impact than ever before, with many organizations participating for the first time. There was a diverse selection of projects, something catering to everyone’s abilities and preferences, ranging from very hands-on projects requiring more skilled volunteers like fixing roofing for play areas, building school benches, fixing playgrounds, kitchens and cupboards, rejuvenating basketball and netball courts, creating recycle bins, HIV-testing events, and clearing hiking trails. Others were more beautification type projects such as: gardening, painting murals, clean ups, creating signage, painting schools and day care centres. Additionally, there were lots of social projects, such as: baking cookies, taking special kids for a fun day out, movies in the park, assisting with food drives, island tours and sports and spa days with the elderly. There were also more culturally driven projects, such as: creating little libraries, and restoring a historical site, amongst others. Most of the projects received a small stipend in order to obtain the materials for the projects, but they could not have been executed without the generosity of hard working volunteers and NGOs who were up to the task to make their ideas reality. “We are so very thankful to all the volunteers that participated this year. The NGOs have all been working so hard to get back up on their feet post-Irma and keep contributing day in and day out to the community, no matter how hard they have it in their personal lives. They really are the drivers of our community. Their dedication, spirit and drive is truly impressive. 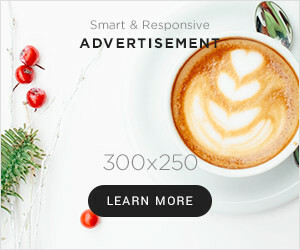 It is also absolutely heart-warming to see this initiative grow each year, not just in size, but mainly in impact and quality,” stated Melanie Choisy, Fleur Hermanides and Laura Bijnsdorp, of the SXM DOET Project Management Team. The welcome addition of the project coaches over the recent years has also ensured success, we are very grateful to have them all on-board this year again. They have really made SXM DOET what it is today, and it is always a pleasure to work with such motivated and caring persons whom want to give back in such a profound manner. 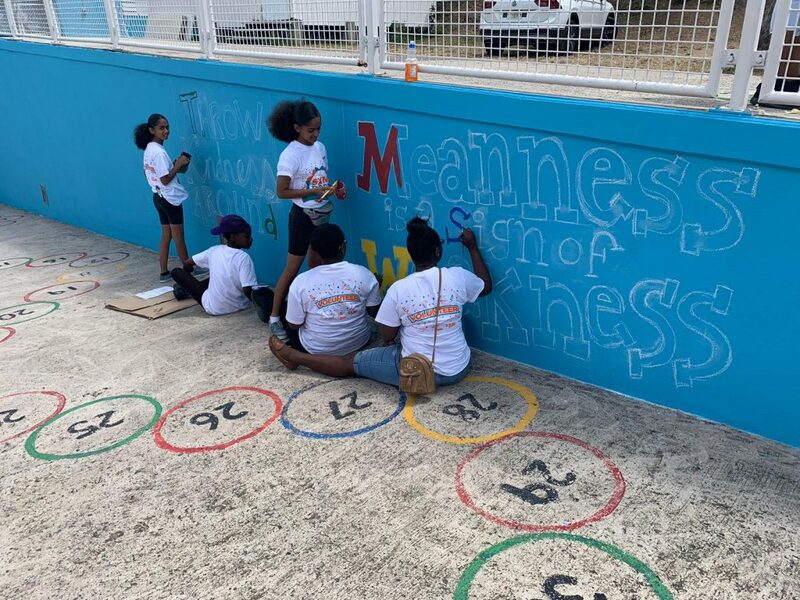 SXM DOET is part of a Kingdom-wide initiative, whereby, this year, a total of over 10.000 projects were hosted with over 400.000 volunteers all giving back to their communities on the same two days. The King and Queen join in, as well as Princess Beatrix, whom all physically contribute at a project every single year in the Netherlands, as patrons of the funding agency whom have initiated it all, the Oranje Fonds. Locally, many persons, such as representatives of Government and/or Parliament, businesses, schools, clubs and groups joined in, with many requesting to contribute to the event in multiple ways. Some companies partnered with the SXM DOET Team to provide discounts and donations to all participants, and others donated their time and assistance by adopting a project for the weekend. To those entities, we owe a very special thank you, since without such selflessness, SXM DOET would not be what it is today! The SXM DOET Team would therefore like to thank: SXM Festival, including the photographers, Easy Print, Firgos, Domino’s Pizza, Cake House, Prime Distributors and CC1, Heavenly Water, Greenfingers, Kooyman, Sherwin Williams, Dijtham, the Johnny Caker, UTS, R&R Tackling Gas Station, RMG Designs, Viva Signs, the Philipsburg Broadcasting Company, Island 92, PJD3, The Daily Herald, Caribbean Legacy, NIPA, Hospitality First Training + Education, Soggy Dollar Bar, the Daily Herald, Fit Foods, and Purple Pelican. Partnerships that have helped make a difference. Be The Change Foundation, the executor and organizer of SXM DOET would also like to thank the Oranje Fonds for having brought the initiative to Sint Maarten just 5 years ago, and of course, for funding the effort locally and throughout the rest of the Dutch Kingdom. This year a welcome contribution from SXM Festival made it possible for this year’s contribution to the NGOs to have been even greater. A much appreciated collaboration which will hopefully grow in the future. This year a total of $68,065.00 was divided over 98 projects (of the 112 total) in funding, all of whom submitted requests to SXM DOET for their projects, of which $10.000 was in thanks to a SXM Festival donation. Many more in-kind donations and discounts were provided as well thanks to the above mentioned partnerships. 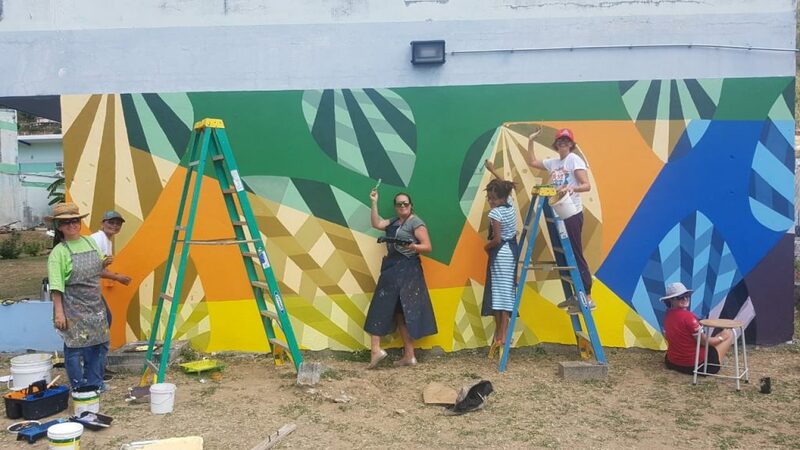 “Thanks to the collaboration of funders, government departments, businesses, foundations and especially our volunteers – a huge positive impact was made on Sint Maarten. And that all in just two days! We hope that SXM DOET continues to grow, mainly in impact, each year!” said the SXM DOET Project Management Team. For more information on SXM DOET or to learn how to contribute in any way, please contact: the SXM DOET Project Management Team, Melanie Choisy, Fleur Hermanides or Laura Bijnsdorp, at info.sxmdoet@gmail.com or visit www.sxmdoet.com / www.facebook.com/SXMDOET.